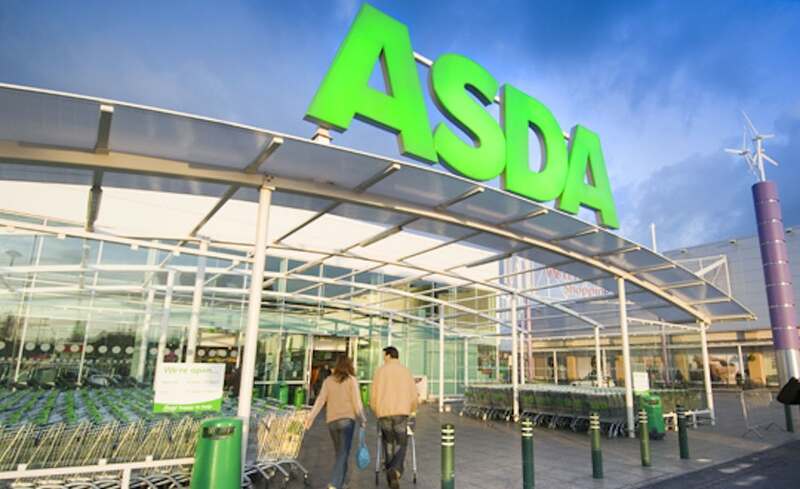 Asda is the second largest supermarket chain in the UK with a 17% of the grocery market. As well as offering food and drink, clothing and general merchandise, the retailer also provides a range of financial services, sold both in the supermarkets and online. The company is known for its two famous marketing campaigns; the “Asda price” campaign and the smiley face “rollback” campaign. The supermarket’s emphasis on low prices – highlighted by its popular no-frills ‘Smart Price’ range – has resulted in it being crowned “Lowest Price Supermarket” by The Grocer magazine for the past 11 years. Asda Stores Limited was founded in 1949 as Associated Dairies & Farm Stores Limited by a group of farmers from Yorkshire. The Asda name wasn’t adopted until 1965 when the company merged with the Asquith chain of three supermarkets and Associated Dairies (Asda is an abbreviation of Asquith and Dairies). Asda Group plc was purchased by Wal-Mart in July 1999 for £6.7 billion. At the time the company operated 230 stores in the UK. Asda operates three different store formats in the UK ; Asda Supermarkets, Asda Wal-Mart Supercentres and Asda Living stores. All stores are based on Wal-Mart’s larger footprint format and there are no “local” format smaller-footprint stores. Asda Supermarkets – Asda’s 243 supermarkets make up the majority of the company’s UK store portfolio. These stores stock all of the retailer’s groceries along with a large number of non-food items. Asda Wal-Mart Supercentres – These hypermarkets are some of the largest in the UK . The first Supercentre opened in Livingston, Scotland in June 2000 and there are now more than 20 situated throughout Britain. Asda Living stores – Asda’s newest format was launched in October 2003. Asda Living is the company’s “general merchandise” store, containing all its non-food ranges including clothing, homewares, electronics, toys and health, and beauty products. Asda operates its own clothing range known as George, named after original chief designer George Davis, who was also the founder of Next. Ever since its launch in 1990, Asda has marketed the brand as high quality fashion clothing at affordable prices. George is currently the UK ’s fourth largest clothing retailer, after Marks & Spencer, the Arcadia Group (Topshop, Burton , etc) and Next. The brand is also sold in the US, Canada and South Korea via Wal-Mart. Asda has been running an online retailing service since 1998. Asda.co.uk began by offering a grocery delivery operation to online shoppers but soon expanded into retailing non-food goods online. Current categories include furniture, games, electrcials, DVDs and CDS, books, travel, mobile phones, flowers, contact lenses and an online pharmacy. Asda further expanded its internet business in January 2007 with the launch of Asda-Electricals.co.uk. The site is a direct competitor to Tesco’s highly successful Tesco Direct service, with more than 3,000 domestic and home electrical products on offer, as well as toys, sports equipment, jewellery and baby products. Another part of Asda’s online operations is AsdaFinance.com – the retailer’s financial services division. Asda works with big industry names such as Norwich Union, GE Money and Bradford and Bingley to offer customers a range of services including loans, credit cards, savings accounts and a number of insurance products. Asda is also engaged in property development through its subsidiary company, Gazeley Properties Limited. Gazeley is involved in the development of distribution warehousing in the UK, mainland Europe, China, India and Mexico. In June 2008 the group was sold by Wal-Mart to Economic Zones World (EZW), a Dubai World company.